Liam is a UK based developer and the CTO at Tebex, a gCommerce company and game server monetization platform. 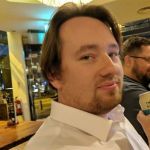 From humble beginnings breaking things in Perl, Liam has tackled projects large and small, from brochure sites in WordPress to eCommerce sites in Magento and SaaS products in Laravel. Outside of CTO-ing, Liam is a father, musician, and is trying to learn the secret to actually having some spare time. If you have one successful month after another, then scaling becomes something you always have to be aware of. While optimizing your resource usage and scaling your web instances (covered last month) can get you so far, sooner or later you’ll need more. We’ve already discussed how databases are a common bottleneck, so this month we’ll see how to scale our database servers, and consider other ways of reducing the load.